Wednesday Wrap: Tidal and Humax updates, Waves 3D Audio and Teufel surround sound setups | What Hi-Fi? This week in the What Hi-Fi? 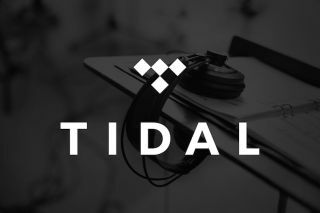 Wednesday Wrap there's news surrounding updates to Tidal's mobile app and Humax's Freeview Play set-top box. German audio manufacturer Teufel has a new speaker package and Waves Audio says it can deliver 3D sound through your headphones. Tidal has added support for Chromecast to its iOS and Android apps. The update, available now, means you’ll be able to cast songs, albums and music videos to your TV via a Chromecast, or to your hi-fi system and speakers via a Chromecast Audio. Humax has made updates of its own to the FVP-4000T Freeview Play set-top box, first of which is a redesigned homepage. Humax says the new design will make navigating easier and more intuitive. The Electronic Programme Guide (EPG) now shows seven channels instead of five and when you select a programme, the full title of it will be displayed at the bottom of the screen. Setting up a series to record has been made quicker than before. The wireless connection has been made more stable and promises to automatically reconnect more quickly should the connection ever be lost. Owners of the Humax FVP-4000T will automatically receive the update over the air. Teufel has introduced a new range of Varion speakers that can be added together to create a surround sound speaker package. The two-way speakers have a small footprint of seven centimetres and house six 5.5cm midrange drivers and one 19mm tweeter. The drivers are arranged in a D’Appolito configuration, with the tweeter in the centre and midrange drivers above and below. The speakers can be placed on stands, wall-mounted or connected to a TV and can be arranged in 2.1 or 5.1 surround sound configurations. A 2.1 set costs £320 and comes with two Varion satellites and a US 2106/1 subwoofer while a 5.1 set costs £560 and comes with five satellites, the subwoofer and a centre speaker dish which lets you place a Varion speaker on a flat surface. Teufel will also supply everything you need to create a home cinema setup, with a 5.1 Varion speaker package, CoreStation AV receiver, table stands, wireless subwoofer module, speaker cable and an HDMI cable, for £1100. All Varion variations are available now. But if you want a surround sound experience on-the-go through a pair of headphones, the Waves Nx may be of interest. Waves Nx is an application and head tracker kit produced by Waves Audio, which is currently seeking funding on Kickstarter. The head tracker connects to any pair of headphones and the app, available for computers and mobile devices, adjusts the 3D sound effect according to where you head is moving. Waves Audio says its algorithms, coupled with head tracking, will let you hear “true 5.1 and 7.1 surround sound on regular stereo headphones”. You can pre-order a head tracker and app from $69, with shipping expected from September 2016.